"Keep the Promise, Stop Pneumonia Now"
Generate action to combat pneumonia. Pneumonia is one of the most solvable problems in global health and yet a child dies from the infection every 20 seconds. Together we can ensure the fight against pneumonia is won. Pneumonia is a leading cause of death for children under the age of five years around the world. The evidence shows that we need to work with integrated approaches to protect, prevent and treat pneumonia in children. Pneumonia is preventable and treatable, yet remains a leading cause of death in children under 5 years old worldwide. Let’s #StopPneumonia from taking the lives of infants around the world with proven interventions: exclusive breastfeeding, adequate nutrition, reduced household air pollution, clean water and sanitation, vaccines, and antibiotics. Effective, integrated case management strategies ensure that children receive proper and timely diagnosis of and treatment for pneumonia. Improving access to services and increasing awareness and demand for them within communities is crucial to #StopPneumonia. 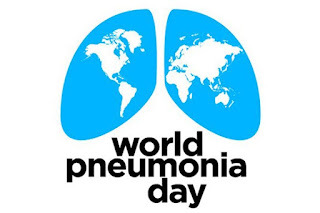 Pneumonia is the single largest infectious cause of death in children worldwide. Pneumonia killed 920136 children under the age of 5 in 2015, accounting for 16% of all deaths of children under five years old. Pneumonia affects children and families everywhere, but is most prevalent in South Asia and sub-Saharan Africa. Children can be protected from pneumonia, it can be prevented with simple interventions, and treated with low-cost, low-tech medication and care. While most healthy children can fight the infection with their natural defenses, children whose immune systems are compromised are at higher risk of developing pneumonia. A child's immune system may be weakened by malnutrition or undernourishment, especially in infants who are not exclusively breastfed.